Welcome to Killearn. 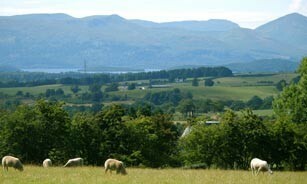 You will have already discovered some of the magic Killearn holds when you look out across the Glebe from the Kirk and see Loch Lomond and Ben Lomond in the distance. Each September the Kirk produces a directory of Kirk and Local contacts: Health, Bank, Library, Council, Members of Parliaments, Websites, Village meeting places, Schools, Youth Organisations, Other Groups such as Bridge, Horticultural, Rotary, Sports, Music and the Arts. These are delivered to every house in the Village in the Autumn. There are several websites that you can visit to continue to get a flavour of this village.